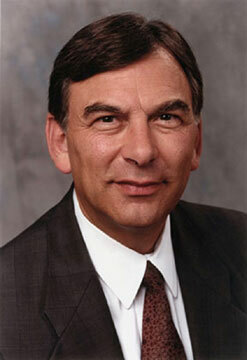 AT CLARK STREET Former Chicago Board of Trade President David Vitale joins CPS as a senior advisor to CEO Arne Duncan. In this unpaid position, Vitale will assist Duncan in replacing directors for several departments—accountability, education-to-careers, operations and technology—who have left in recent months. …Marilyn Johnson, CPS general counsel, left her position Feb. 25 to become general counsel at the Illinois State Toll Highway Authority. Robert Hall Jr., first assistant attorney, will assume her duties until a replacement is hired. MOVING IN/ON Timothy Knowles, deputy superintendent of Boston Public Schools, was named executive director of the University of Chicago’s new Center for Urban Schools, Communities and Their Improvement, which will open this fall. The Center for Urban Schools will absorb the professional development work of the Center for School Improvement, and it will launch a new urban teacher preparation program. Knowles will begin work Aug. 1. … Bindu Batchu, a technology associate at the Metropolitan Planning Council, has been promoted to manager of Network 21, a civic coalition working to reform the financing and accountability of Illinois’ public schools. She replaces Leslie Lipschultz, who resigned in January. … Jay Rehak, an assistant director at the Chicago Teachers Union Quest Center, was named CTU director of media relations. SPRINGFIELD State Democrats, now the majority party in the Illinois Senate, have named Miguel del Valle (D-Chicago) to chair the Senate Education Committee. In the General Assembly, state Rep. Calvin L. Giles (D-Chicago) retains his position as chair of the House Elementary & Secondary Education Committee, and state Rep. Michael K. Smith (D-Canton) has been tapped to lead the House Appropriations-Elementary & Secondary Education Committee. PRINCIPAL CONTRACTS Clifton D. Burgess and Barbara D. Nettles signed four-year contracts with Von Steuben High and Earle, respectively, after serving as acting principals at those schools. …Linda K. Everhart, interim principal at Dulles, is now contract principal. …Dennis Sweeney joined Logandale as contract principal. Sweeney was formerly assistant principal at Davis. PRINCIPAL RETIREMENTS Solomon E. Gibbs, McNair; Gloria Archbold is serving as interim principal at McNair. …Janice B. Ollarvia, Fenger High; assistant principal Patricia Nichols is acting principal. NATIONAL CERTIFICATION Last month, 93 CPS teachers who earned National Board Certification—the profession’s highest credential—received $5,500 one-time awards from the Chicago Public Education Fund and the School Board. They will also receive $30,000 over 10 years from the Illinois Board of Education (ISBE). Also, the Public Education Fund awarded $30,000 grants to three schools where four or more teachers earned the highly regarded certification that uses rigorous standards to assess teaching practices. Those schools include Blair Early Childhood Center, Pierce and Sumner elementaries. AWARD Anthony Bryk, a University of Chicago sociology professor who founded the Consortium on Chicago School Research, is one of two recipients of the first Thomas B. Fordham Prize for Distinguished Scholarship. The Thomas B. Fordham Foundation, based in Washington D.C., recognized Bryk, now on sabbatical, for his school research, analysis and reform work. Bryk, who also runs the university’s Center for School Improvement, will share the award with Paul Peterson, a government professor at Harvard University. The two will split a cash prize of $25,000.